Nancy is the founding CEO of Syros and has an established track record of value creation in biotechnology. Prior to Syros, she was Chief Medical Officer at Millennium Pharmaceuticals, and previously, Vice President of Clinical Development at Biogen. Nancy has overseen the successful development of numerous medicines. Under Nancy’s leadership as Chief Medical Officer at Millennium, VELCADE became a mainstay of treatment for multiple myeloma. 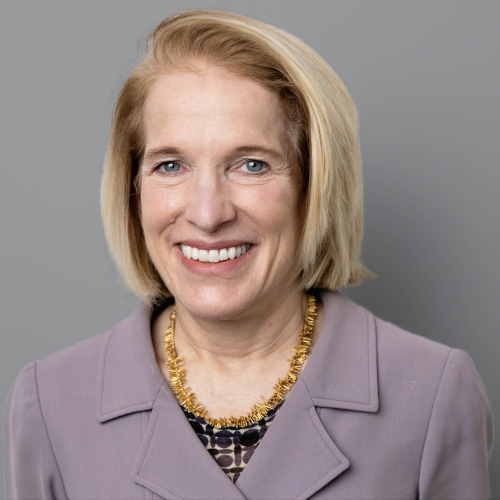 Nancy led development of Millennium’s clinical pipeline, including NINLARO for hematologic malignancies and ENTYVIO for inflammatory bowel disease. At Biogen, Nancy played a central role in developing AVONEX and TYSABRI for multiple sclerosis. Nancy started her career as an assistant professor at Harvard Medical School and neurology staff at Massachusetts General Hospital (MGH). She trained in neurology and internal medicine at MGH and graduated with a bachelor’s degree in biology from Princeton. She is currently a member of the board of directors of Evelo Biosciences, Seattle Genetics, the Biotechnology Innovation Organization (BIO) and the Damon Runyon Cancer Research Foundation. Eric has more than 25 years of experience in the life sciences industry with a proven record of translating scientific discoveries into breakthrough medicines. Prior to Syros, he was Research Vice President for respiratory diseases at Vertex Pharmaceuticals, spearheading the company's efforts in cystic fibrosis (CF). During his 12 years there, he was instrumental in bringing KALYDECO, the first CF treatment resulting from the discovery of the CF gene to patients, leading the research, development and commercial teams. 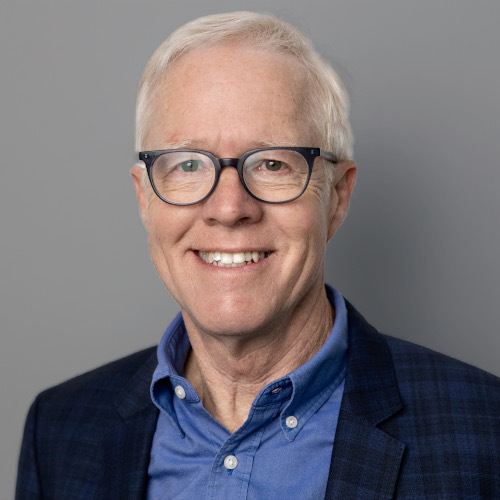 In addition to his work at Vertex, Eric has also held positions as the Director of Antibacterials and Molecular Sciences departments at Warner-Lambert/Pfizer, as well as a research scientist focused on gene expression systems with The Upjohn Company. Eric earned his B.S. in microbiology from the University Minnesota and a Ph.D. in microbiology and immunology from the University of Michigan. He is published in more than 40 academic journals. Gerald brings more than 20 years of senior leadership and legal experience in the biotechnology industry. Before joining Syros, he was Executive Vice President of Business Operations and General Counsel at Tokai Pharmaceuticals, where he was responsible for legal and business operations, including human resources, corporate communications and information technology. Prior to Tokai, Gerald was a partner and co-chair of the life sciences practice at Choate, Hall & Stewart LLP, a Boston law firm. In this role, he represented leading biopharmaceutical companies in corporate and securities law matters, financing and M&A transactions, and licensing and product development transactions. Before Choate, he was Vice President of Corporate Affairs and General Counsel at Infinity Pharmaceuticals with responsibility for the company’s legal, intellectual property, finance and corporate communications activities, and prior to that, he held progressively responsible legal and business development positions at Genzyme Corporation. Gerald holds a B.A. in political science from Swarthmore College, an Ed.M. in educational administration from Harvard University and a J.D. from Northeastern University. David brings more than 20 years of experience in industry and academic clinical research with a strong track record of successful oncology and hematology drug development. 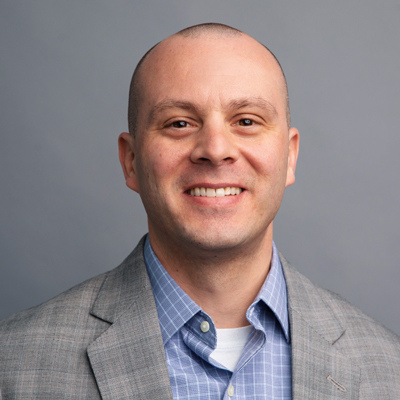 Prior to Syros, he was Executive Vice President and Chief Medical Officer of Infinity Pharmaceuticals and, previously, interim Co-head of Clinical Development and Vice President of Early Development in Pfizer’s Oncology Business Unit. 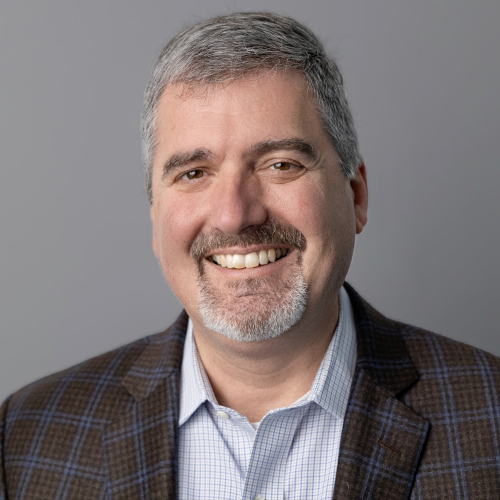 David joined Pfizer from Wyeth, where he held the roles of Assistant Vice President of Clinical Research & Development and Global Therapeutic Area Director of Hematology. While at Pfizer and Wyeth for over a decade, David contributed to the successful regulatory approval of several products, including Bosulif® (bosutinib), a dual Src/Abl tyrosine kinase inhibitor for the treatment of chronic myelogenous leukemia, Xyntha® and ReFacto AF® for the treatment of hemophilia A, and BeneFIX® for the treatment of hemophilia B. David also led the early development of Ibrance® (palbociclib), a CDK 4/6 inhibitor, which was awarded breakthrough status and subsequently received accelerated approval as a treatment for ER-positive, HER2-negative advanced breast cancer on a Phase 2 study. 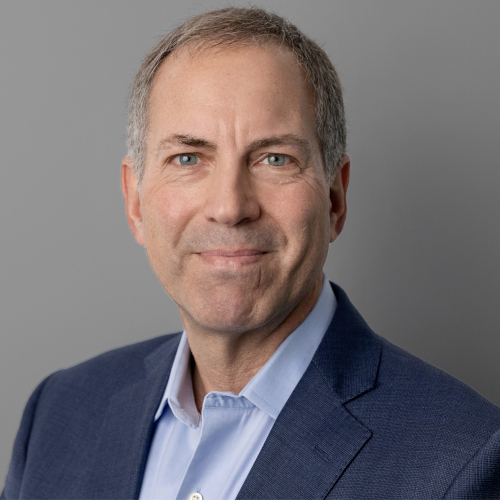 In addition to his extensive industry experience, David is an accomplished academic researcher and physician-scientist and was on the full-time faculty at Harvard Medical School and Beth Israel Deaconess Medical Center in the Division of Hematology/Oncology. He completed his fellowship in hematology and oncology at Tufts-New England Medical Center and his Internal Medicine residency at the New England Deaconess Hospital in Boston. David received his B.S. from the Massachusetts Institute of Technology and his M.D. from Harvard Medical School in the Harvard-M.I.T. Division of Health Sciences and Technology. Jeremy has more than 25 years of experience leading scientific, business development and corporate strategy. Before joining Syros, he was Partner of Corporate Development at Flagship Pioneering. Prior to Flagship, Jeremy spent more than 20 years at Alexion. He was one of the original scientists at Alexion as well as one of the original inventors of Soliris®. He moved from research to business development, ultimately becoming the Vice President of Corporate Development. 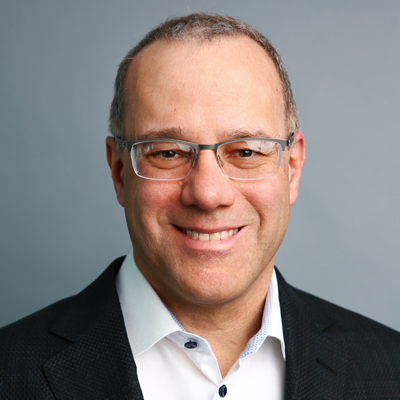 In that role, Jeremy led the acquisitions of Enobia Pharma, Taligen Therapeutics and Orphatec, as well as the partnership with Moderna Therapeutics. Jeremy also served in a key strategic role as Alexion transitioned from a development-stage to a commercial-stage company. Prior to 1992, Jeremy was a postdoctoral research fellow at the Brigham and Women's Hospital. He received his Ph.D. from Louisiana State University Medical Center in New Orleans and his B.A. from Colby College. He currently serves on the boards of directors of uniQure and Mythic Therapeutics, and belongs to the Board of Overseers of Colby College. Joe has significant financial, strategic and leadership experience in the biotechnology industry. He most recently served as Managing Director and Co-Head of Healthcare Investment Banking at JMP Securities. Prior to JMP, Joe was a member of the investment banking groups at UBS and JP Morgan. During his 13 years in investment banking, he advised on more than $20 billion in equity, debt and M&A transactions for leading biopharmaceutical companies. Earlier in his career, Joe served in sales and engineering roles in the life science tools industry. He earned his MBA from The Stephen M. Ross School of Business at the University of Michigan. He obtained a B.S. in Chemistry with Distinction from Purdue University, where he was an author on published papers and conducted research at the National Institutes of Health. Joe is also a member of the Board of Directors of the YMCA of Greater Boston. Kristin has more than 25 years of experience in the biopharmaceutical industry, with a proven track record of successfully leading global clinical programs across all phases of development. Prior to Syros, Kristin spent nearly 10 years at Millennium Pharmaceuticals and then Takeda Pharmaceuticals in a variety of roles with escalating responsibilities, serving most recently as Vice President of Global Clinical Operations. In that role, she led more than 50 concurrent clinical studies across 15 programs and managed a functional team of more than 100 people across the United States, Europe and Asia. 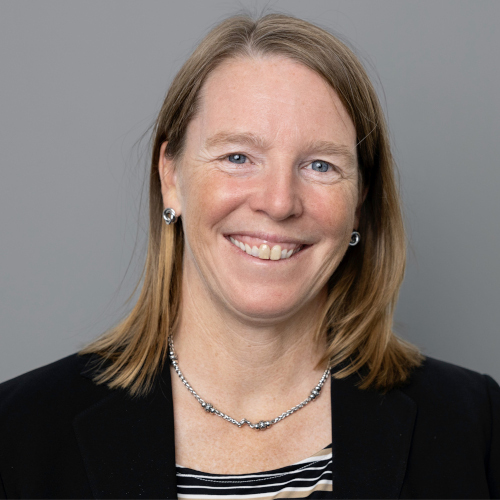 Kristin played an instrumental in the development and ultimate approval of ENTYVIO for inflammatory bowel disease and NINLARO for hematologic malignancies. Earlier in her career, Kristin worked at Quintiles Strategic Research Services, Clinical Assistance Programs and Eastern Cooperative Oncology Group. Kristin earned her B.A. in mathematics and psychology at William Smith College.